All students and parents should become familiar with, and abide by, the rules and regulations stated in the Handbook and on this website. You will not receive printed bills or phone call reminders regarding class payment. Please make tuition payments promptly to avoid the late fee. Enrollment is for an entire 16-week session and no refunds or deductions will be granted for absence or withdrawal, unless for medical reasons. If there are extenuating circumstances regarding payment, please speak to the Director BEFORE tuition is due. For detailed information on tuition and associated fees, please see our Tuition page. Students who do not wish to participate in the Spring Showcase must use the opt-out form to notify the Director by December 1, or they will be charged a costume fee. Students participating in the Spring Showcase must purchase the required costume. Dancers must adhere to the dress code with appropriate dancewear and secure hair. All dance clothing must be neat. Holes and frayed edges must be mended. No underware should show. For detailed information on class leotard colors and other requirements, please see our Dress Code. Attendance is imperative for consistent progress. If a student is going to be absent from class, call the studio and leave a message before class time. You may also inform the teacher if you know ahead of time, but be sure to call the office as well. If students are too ill to participate in class, they should remain at home and rest. Students returning to class must be fever free for the previous 24 hours. If they are injured, they should come to class and observe. Many students find that they learn more from observing class! This will also keep them apprised of the class’ progress. Missed classes may be made up with prior approval from the Director during the session in which the absence occurred. Only students with commendable attendance records will be permitted to participate in the Spring Showcase. For some new students it may be necessary to take the first week of classes in a “trial” level in order for the instructor(s) to assess the proper class level. The Artistic Staff has the final word on evaluating levels and casting for rehearsals and performances. Please be respectful of their careful decisions. Students in Academy Divisions B – F will receive written evaluations in January and oral evaluations in May. Parents are asked to sign one copy of the written form and return it to the Director. Students should keep the faculty informed (at the start of class) of any recent illness, injury, or other condition that may interfere with their class work. 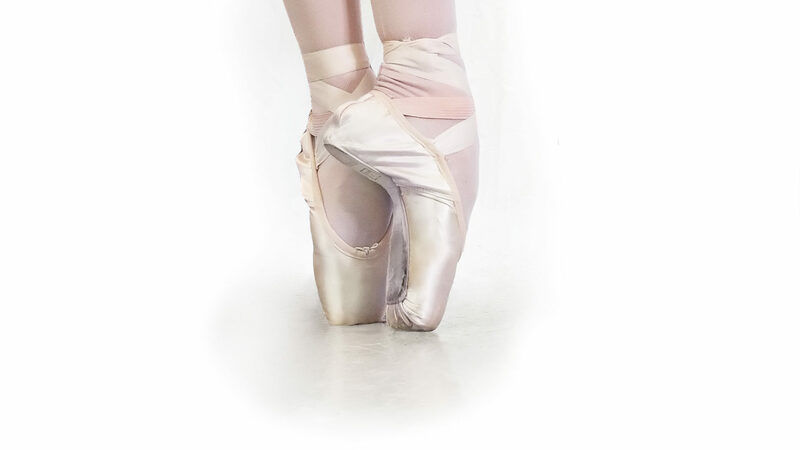 An instructor must check all new ballet and pointe shoes to ensure proper fit before elastics and/or ribbons are sewn and they are worn. The curriculum for the Academy Division students is demanding and thorough. Students placed in these levels with the desire to take class and/or perform with other ballet schools or companies must speak to the Director and receive permission to do so in advance. All students are expected to be well-behaved, courteous, honest, and to abide by the rules of the Louisville Academy of Dance. Attitudes that are disrespectful, uncooperative, or aggressively competitive do not have a place at LAD. Any parent or student exhibiting these attitudes will be asked to leave. LAD expects all dancers to conduct themselves in a manner that is respectful to others and to themselves. They will not make comparisons to each other or speak negatively about one another or the instructors. There will be no rough-housing, loud voices or running in the building. Parents need to be sure that younger children are supervised in the waiting areas and at all times in the play room. The play room should be picked up after your child is finished playing. Parents of Pre-Ballet students are asked to remain in the building for the duration of the class in case there is a need of some kind. Students are expected to keep the bathrooms, dressing room, waiting areas, and classrooms neat and clean. Dancers and visitors are expected to pick up after themselves. Anyone under the age of 19 may not chew gum or have beverages other than water in the building. We need to protect our floors. Food may not be opened or consumed in the dressing room. There will be a $10 fine for any violations of this policy. Emergency exit doors should only be used if there is an emergency. Dancers are expected to wait in the building for their rides. Children should be picked up on time to avoid a late pickup charge. Refrain from bringing pets into the building. Street clothes and shoes must be worn over dance clothes when outside the LAD building. Under no circumstance should a student ever wear dance shoes outside. Students may not bring Jet Glue shoe hardener into the building. If students are more than 10 minutes late for class, they may be asked to sit and observe. Latecomers can be a distraction to the other dancers and proper warm-up is important to prevent injury. If there is a scheduling conflict getting to class from school, please notify the Director. No gum, candy, food, or beverages (other than water) are allowed in the classroom or the dressing room. Please bring a water bottle to class if you feel that you will need water. There will be limited permission to leave class to go to the drinking fountain. Dancers should use the restroom before class. There will be limited permission to leave class to use the restroom for the older students. Parents of Pre-Ballet or Beginning Ballet students should remind their children to use the restroom and have a drink of water before class. There will be no hanging, playing, sitting, or climbing on either the wall barres or center barres. Students will not sit on the floor or lean on the barres during class. During class, students are expected to listen closely when an instructor is correcting another student so that they may also learn from the correction. Students will not talk during class and will raise their hands to be called on. The only jewelry permitted to be worn in the classroom are small earrings. All cell phones must be turned off during class. Dancers need to ask permission before using the stereo equipment. Parents are invited into the classroom to observe class on Parent Observation weeks. Parents must remember to turn off all cell phones while in the classroom. Dancers should bring all valuables into the classroom. A lost and found box is kept in the corner of the girls’ dressing room. Advanced students may be asked to help with the lower level classes. Assistants will not be teaching the classes, but will be following the teacher’s instructions, thereby helping with the dance education of the assistants as well as enabling the younger students to receive more attention. Any dancer in Academy Division levels B – F who is interested in becoming a student assistant should talk to Miss Kristen. If Jefferson County Schools are closed due to inclement weather, the studio MAY OR MAY NOT be closed. Please check our website and your email for class cancellation information. Parents and students should regularly check the bulletin boards in the entryway for news and information. We welcome and respect your comments and suggestions. There is a comment/suggestion box on the wall near the Director’s office. Please feel free to use this box. For more serious issues, please make an appointment to speak personally with the Director or an Instructor.